Let’s pick up where we left off last week: Naoki and Keita are still having a nasty exchange – glaring their eyes at each other and exchanging harsh words. Naoki tells Keita to not lay his hands on Kotoko and to bring it on if he dares to. Kotoko later tells her fainting incident to Satomi and Jinko. When she woke up, Naoki was monitoring her! How cute and cheesy. With that, Kotoko wouldn’t mind fainting from time to time. Yet, what Jinko and Satomi care about is Keita’s identity. Who was this handsome guy carrying her? Is she having an affair?! It would be interesting to see Keita and Naoki fighting over Kotoko… Dear ladies, your wishes are about to become true. Summer school starts: Kotoko and her teammates are studying for a project except that Kotoko isn’t being as productive. Thankfully we have Keita; he is always there to give her an abrupt wake up call. Girl needs to stop constantly thinking and dreaming about Naoki and FOCUS. After the last group meeting, Motoki proposes that they hang out one more time before the beginning of the following semester. Bowling it is. Only Tomoko is unable to join them; she has a part-time job. Not surprisngly it involves cutting something – fishes. She’s so creepy. 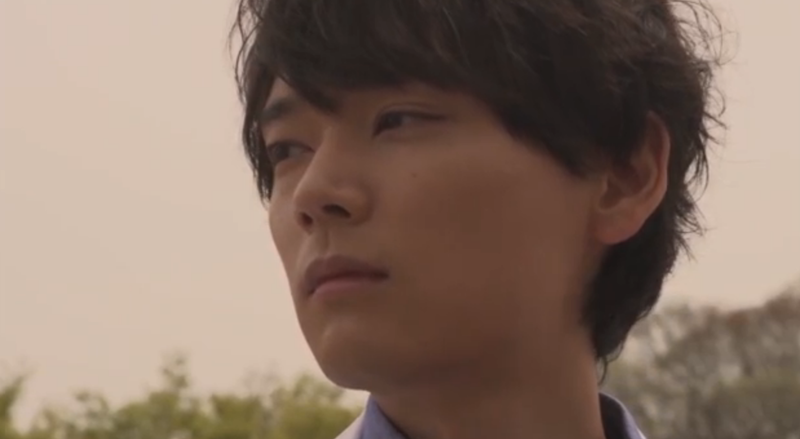 An unhappy Naoki spots Kotoko and Keita heading to their hang out location… I would be jealous too. Keita and Kotoko are wayyy too close – physically and as in they get along a LOT. Kotoko feels refreshed and relaxed after their bowling session. Keita had also noticed that she was stressed out. Are things not going well with Naoki lately? Well… Naoki is really busy. She barely sees him and even when she sees him, he is colder than usual. How is that even possible :-D? He might turn into ice at this rate… Keita urges her to take it easy. Kotoko is excited to see Naoki; she clings on his arm and goes on a rant. She had so much fun bowling and she performed like a pro. Naoki throws shades at her and rudely frees his arm from Kotoko’s hands. Shock. 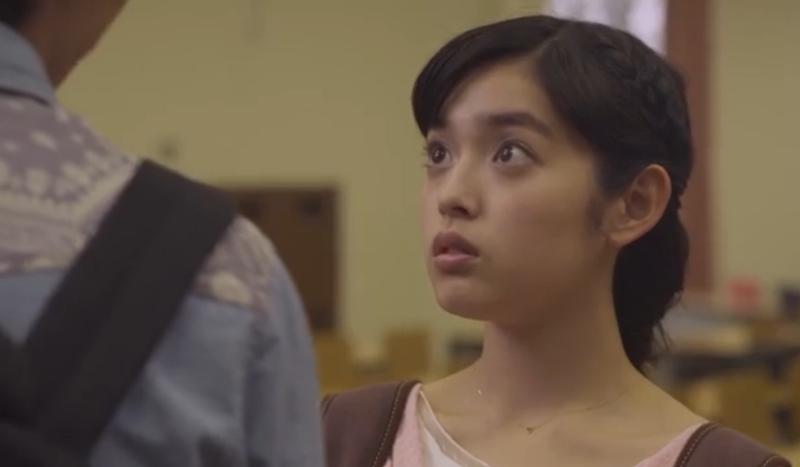 Kotoko is so confused and doesn’t say a word. Keita stands up for her once again. If Naoki has time to go party, shouldn’t he spend more time with his wife? Naoki answers that he is tired of Keita meddling. Kotoko tries to intervene. Keita was talking for her because he knew she was feeling down. Rude Naoki replies that if she is feeling down maybe she should go home with Keita. Wow wow, ok this escalated fast. 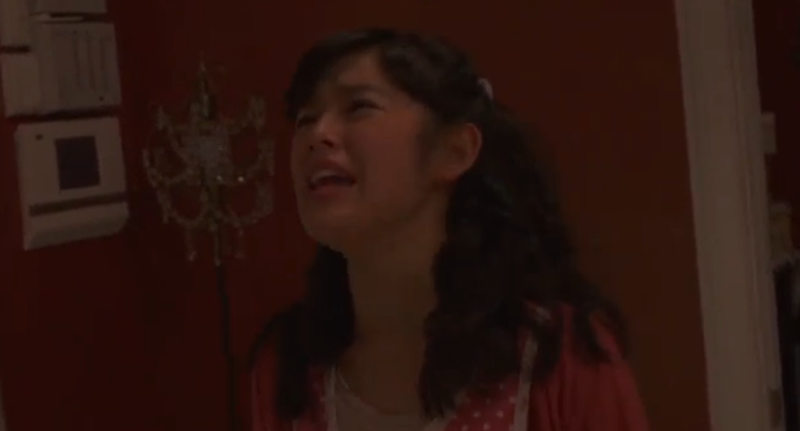 Kotoko calls Naoki an idiot and run away. She is quickly followed by Keita, Marina, and Motoki. Things are not about to be resolved quickly between Kotoko and Naoki. Mama Irie and the rest of the family are doing their best to dissipate the tension between our main couple. Mama Irie cooks this amazing dish and is as bubbly as ever, but nothing seems to work. Kotoko and Naoki refuse to talk to each other – making it uncomfortable for everyone else. Kotoko can’t stop replaying what happened when Keita followed her when she run away. Well, we were kind of curious. So, Keita gave her a back hug telling her to give up on Naoki. Confession time: He likes Kotoko. The latter quickly laughed it off which lead to an awkward silence between them too. Exams are finally over. Kotoko thinks she did well. Oh gosh, knowing her I wouldn’t be so sure. Let’s wait and see. As Kotoko and her teammates are debating the exams, Seichi barges in their classroom. Marina’s face gets blue. I actually feel bad for her 😀. Seichi reminds Marina of the promise she made to go on a date with him if he was able to perform better than Naoki. He spent the whole summer studying and he is almost certain that he outperformed Naoki! Marina drags the rest of her team to double check with Naoki. The latter says that it is the worst he ever did on an exam. Seichi screams victory while Marina freaks out realizing the predicament she’s in. Kotoko tries to ask Naoki what happened, but he gives her the cold shoulder once more. Kotoko has a lot of patience. I would have totally ignored him by now. 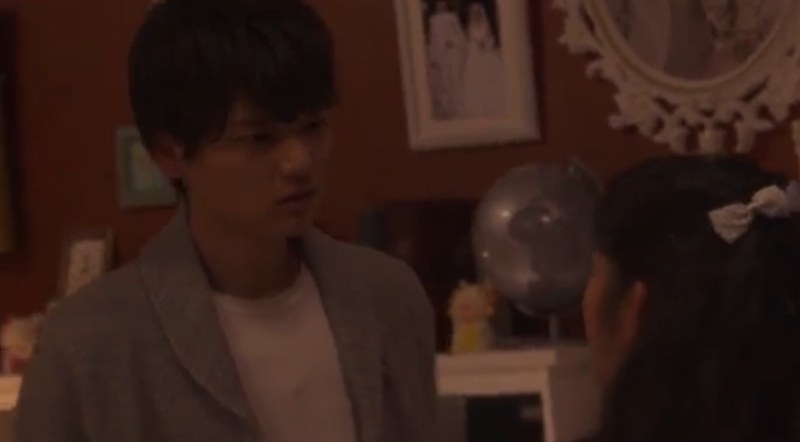 Keita asks Kotoko how long have things been that weird between Naoki and her. Has it been a month? Is it because of him? I think you are giving yourself too much importance here. Not that you are totally wrong… Once again, Kotoko laughs it off! Keita doesn’t back down this time. He was serious when he said she should get a divorce. She can’t be with a cold person like Naoki. Naoki shows up at the cafeteria. Chris and Kin chan were about to close for the day, but Naoki has them prep one more dish for the day. If it wasn’t for Chris, Naoki would have starved. Chris and Kin-chan sit with Naoki while he eats. Naoki doesn’t fail to notice how cute Chris and Kin-chan are. She clings to him, teases him, etc.. Kin-chan protests but it’s clear that he likes it. This pairing oddly reminds me of another couple we know way too well… Naoki explains that him and Kotoko aren’t getting along so well lately. He isn’t doing so well. Kin-chan is confused. If Naoki is unwell, isn’t he a doctor himself?! Naoki says that he doesn’t know what’s going on. He gets mad at Kotoko and treats her poorly ever since Keita started hanging out with her. Naoki adds that he gets irritated only looking at Kotoko’s face. Kin-chan’s face is priceless! He goes from complete shock to delirious laughter. 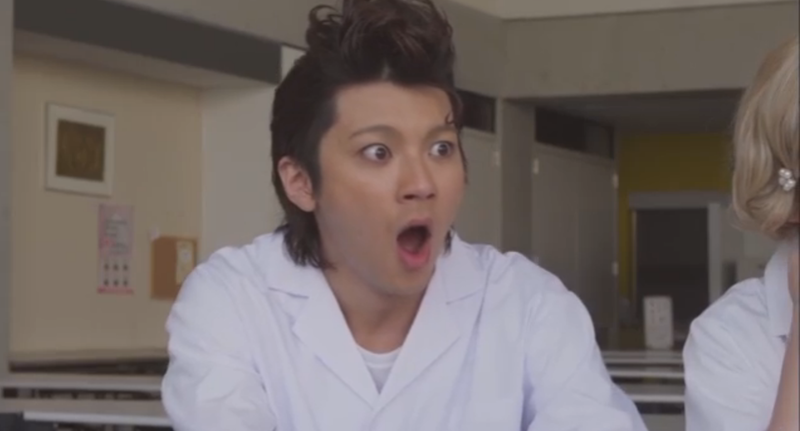 He can’t believe that Naoki is finally experiencing the same thing he’s been through for years: JEALOUSY. Kin-chan tells Naoki that he is jealous. It must be a pain even for a genius. The result of the nursing exams are back! Kotoko miserably failed, which makes Keita furious! How does Kotoko expect to be a nurse with such results?! Good question. Kotoko later asks Jinko if she should go to a shrine for a solution. She had thought that good grades would have helped her break the ice with Naoki. Failure. Kotoko and Jinko are joined by Satomi. The latter has a bigger news to share. She is pregnant and about to get married with the baby daddy. Celebration time! It dwells on Kotoko that Mama Irie seriously wants to hold a grandchild soon. Mama Irie is so excited to learn that Satomi is pregnant; her mouth slips and she tells Kotoko how great it would be if Naoki and are had a baby too! They will need to reconcile first before they make babies. Kotoko throws a fit and starts throwing things at Naoki. Can’t say he doesn’t deserve it -__-. Naoki yells for her to stop, grabs her and asks what’s wrong with her. She yells that she can’t bear it anymore. Naoki doesn’t care about her – how she is, what she is doing in life, etc. Keita told her that he likes her! He also told her she should leave Naoki because he is too cold. She knows Naoki never loved her. Why did he marry her then?! Naoki’s efforts to calm Kotoko go down the drain as she runs out of the room and the house leaving a stunned Naoki and a panicked Mama Irie. This episode actually got me teary. This was not only about Naoki ignoring Kotoko, it was also about Kotoko dealing with her fears and insecurities. For so long, she downplayed how unsure she was of Naoki’s feelings. Seeing her throwing things at his face and saying how she feels was both sad and liberating. I love how Miki Honoka played the part. It felt so real. For a second it felt like I shared her emotions – pain, rage, and fear. I have to sincerely thank Keita for the wake up call he is giving to Naoki. The latter has been taking Kotoko for granted. Given how vocal Kotoko is about her feelings I can’t totally blame him. I just want to see more of Naoki throwing away his cold demeanor and showing more warmth. Keita might not be a real threat, but someone might be one day. Most people around Kotoko think she is not popular among guys, but the male characters of the show prove those people wrong. The list of suitors for Kotoko includes Naoki himself, Kin-chan, and now Keita. Not too bad. The reconciliation between our main couple is close but I hope that Naoki will remember the lesson. He was extremely annoying this episode. Not as annoying as in the other remakes, but he did pretty bad this episode. Please redeem yourself Naoki.